Located about 1 mile south of the Indiana Toll Road, on top of the hill about 200 feet west of St. Road 13, or about 3/4 mile north of State Road 120 on State Road 13 north of Middlebury, Indiana . The cemetery is named after Isaac Ivins and it is on the farm on which he had settled in the late 1830 's, with his family of 14 sons and 2 daughters, in York township. It is about 1 1/2 acres square shaped. Except for a very small plot, about 8 feet square, with mother and father stones, there are no other markers in the north half of this cemetery. At one time there had been more markers, but it is unknown what happened to these . 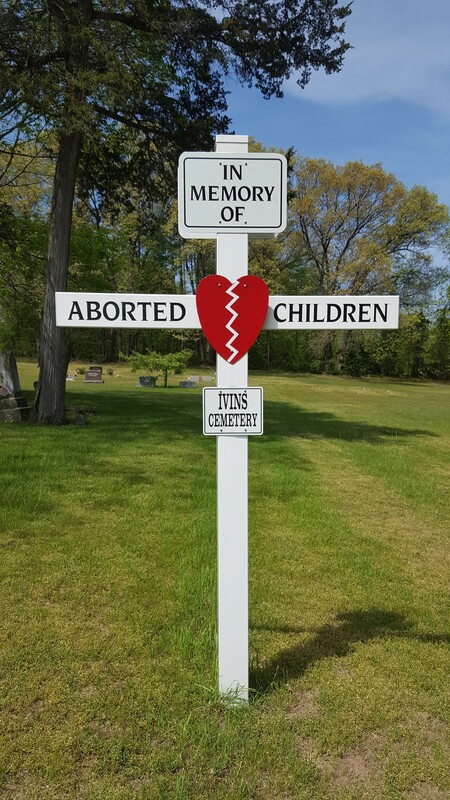 They could have been broken and removed from the site or they have been moved to another cemetery. It is believed that the first burial was made here soon after Isaac had settled here. Since 1980 there have been burials made towards the southwest corner of this cemetery. These are the first made here since just before the turn of the century. Rows numbered from east to west and the graves from north to south. First copied September 15, 1979 and because of new burials was rechecked Aug 23,1987. Note : Other soldiers who should be located in this cemetery, but no markers found. Information obtained from Bemis Mikel, of the Veterans Administration office. It is believed others of the Ivins family are buried here.